This is the official list (from the AFL) of trades so far (as of Oct 15). The Fremantle Football Club signed Unrestricted Free Agent Reece Conca (Richmond Football Club) on Friday October 5. The Richmond Football Club will not receive any compensation for the loss of Reece Conca, after later taking in Tom Lynch as a free agent. The Geelong Football Club signed Unrestricted Free Agent Luke Dahlhaus (Western Bulldogs Football Club) on Friday October 5. Based on the player’s age and the contract offer, the AFL advised the Western Bulldogs Football Club the club would be eligible for a Round Two compensation selection. As the Western Bulldogs has traded its 2018 Round Two selection, the compensation selection will follow the club’s traded selection, number 27 on the current provisional draft selection order. The Richmond Football Club made an offer to Restricted Free Agent Tom Lynch (Gold Coast Suns) on Friday October 5. The Gold Coast Suns elected not to match the offer on Monday October 8 and Tom Lynch is now able to join Richmond immediately. Based on the player’s age and the contract offer, the AFL advised the Gold Coast Football Club the club would be eligible for a Round One compensation selection after its current Round One selection, which would be number 3 on the current provisional draft selection order. The Port Adelaide Football Club made an offer to Restricted Free Agent Scott Lycett (West Coast Eagles) on Saturday October 6. The West Coast Eagles elected not to match the offer on Tuesday October 9 and Scott Lycett is now able to join Port Adelaide immediately. Based on the player’s age and the contract offer, the AFL advised the West Coast Football Club the club would be eligible for an End of Round One compensation selection after its current Round One selection, which would be number 20 on the current provisional draft selection order. The Geelong Football Club trade Lincoln McCarthy, its Round Three selection (currently number 55), and its Round Four selection (currently number 58) to the Brisbane Lions for its Round Three selection (currently number 43) and its Round Four selection (currently number 61). The Richmond Football Club trade Corey Ellis, Anthony Miles and its 2019 Future Round Three selection to the Gold Coast Suns for its 2019 Future Round Three selection. The Carlton Football Club trade Special Assistance Pre-listed player Nathan Kreuger to Geelong for its Round Three Selection (currently number 43). The Brisbane Lions trade its Round Two Selection (currently number 24), Round Four Selection (currently number 58) and Round Five Selection (currently number 79) to the Gold Coast Suns for its Round Two Selection (currently number 32), Round Three Selection (currently number 41), Round Three Selection (currently number 44) and Round Five Selection (currently number 77). The Adelaide Crows trade Mitch McGovern and a Future Round Three Selection to Carlton for Shane McAdam (Special Assistance Pre-listed player) and its Future Round Five Selection. The Sydney Swans trade its Round One Selection (currently number 13) to the Adelaide Crows for its Round Three Selection (currently number 40) and receive two of Carlton’s Round Two Selections (currently numbers 26 and 28). Port Adelaide trade Jared Polec, Jasper Pittard and its Round Three Selection (currently number 48) to North Melbourne for its Round One Selection (currently number 11) and its 2019 Future Round Four Selection. The Sydney Swans trade Gary Rohan to the Geelong Cats for its Round Four Selection, currently number 61 (on traded from the Brisbane Lions). North Melbourne trade Ryan Clarke to the Sydney Swans for its Round Four Selection, currently number 61 (on traded from the Geelong Cats). St Kilda trade Tom Hickey, its Round Four Selection (currently number 60) and its 2019 Future Round Four Selection to the West Coast Eagles for its Round Two Selection (currently selection number 39) and its 2019 Future Round Four Selection. The Carlton Football Club made an offer to Unrestricted Free Agent Alex Fasolo (Collingwood) on Wednesday October 10. Based on the player’s age and the contract offer, the AFL advised the Collingwood Football Club the club would be eligible for a Third Round compensation selection which would be number 57 on the current provisional draft selection order. The Fremantle Football Club trade its Round One Selection, currently number 6, and its Future Round Three Selection to Port Adelaide for its Round One Selection, currently number 11, Round Two Selection, currently number 23, Round Two Selection, currently number 30 and its Round Three Selection, currently number 49. The Sydney Swans Football Club trade Dan Hannebery and its Round Two Selection, currently number 28 (on traded from Carlton) to St Kilda for its Round Two Selection, currently selection number 39 (on traded from West Coast), and its 2019 Future Round Two Selection. The Melbourne Football Club trade Dean Kent to St Kilda for its Round Four Selection, currently selection number 65. The Melbourne Football Club trade Dom Tyson to North Melbourne for Brayden Preuss and its Round Four Selection, currently selection number 62 (on traded from the Sydney Swans). The GWS Giants Football Club trade Will Setterfield and its Round Four Selection, currently number 71, to Carlton for its Round Three Selection, currently number 43, and its 2019 Future Round Two Selection. The Richmond Football Club trade Sam Lloyd to the Western Bulldogs for its Round Four Selection, currently selection number 64. The Gold Coast Football Club sign Special Assistance Player Josh Corbett from the Werribee Football Club in the VFL. The Gold Coast Football Club sign Special Assistance Player Chris Burgess from West Adelaide Football Club in the SANFL. The Carlton Football Club sign Special Assistance Player Nathan Kreuger from the South Adelaide Football Club in the SANFL. Carlton then traded Nathan Kreuger to the Geelong Football Club for its Round Three Selection (currently number 43). The Carlton Football Club sign Special Assistance Player Shane McAdam from the Sturt Football Club in the SANFL. Carlton then traded Shane McAdam to the Adelaide Football Club via a three-way trade involving the Sydney Swans. Sorry to see Alex Fasolo leave the Pies, but really, there is a glut of small forwards down there, particularly if the enigmatic Daniel Wells can overcome his hamstring, knee and vast swags of injury problems and join the party for next year, one can only dream. Alex would be far better off at Showponyland, helping those budding recruits bring pride back to the Consiglieri. I would wish them well, until I saw on YouTube – “Carlton kick 7 goals in 10 minutes, 1970 Grand Final”. let them rot! 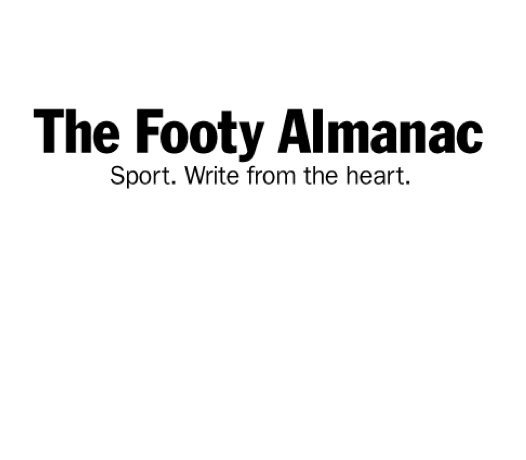 An Almanac article on AFL trades. Almanac drinking the Kool Aid now??? Dockers have made a new offer to Melbourne for Jesse Hogan. Melbourne decline saying they fell for that in 1835 and won’t be selling again. There was a hint of fire sale going on with some of yesterday’s movements. Salary cap problems for the Giants must be pretty severe. And could the last person to leave the Suns please turn the lights off.